****Please note these color swatches may differ from the actual color of our linens since each monitor will display colors differently. 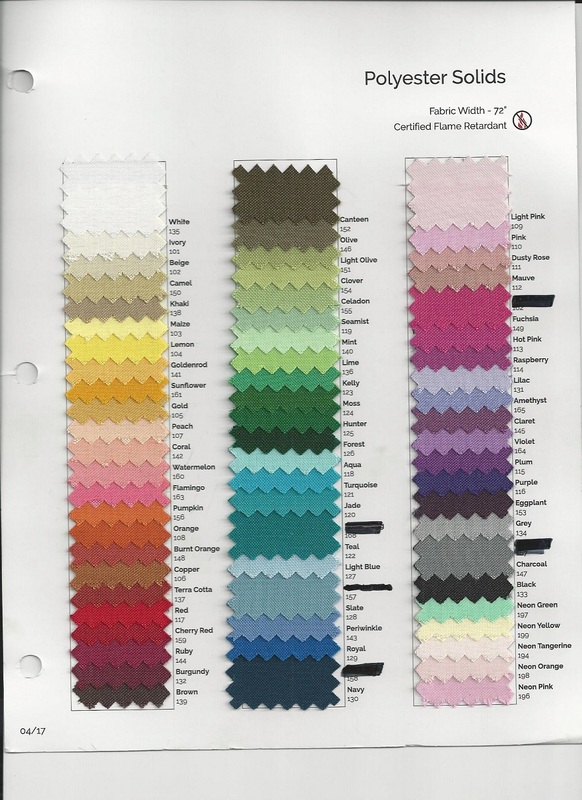 This chart shows you solid color swatches that are available in polyester. We do recommend you visit our showroom to select the linen color for your event. We also have literally hundreds of specialty linens to make your event truly unique plus spun polyester linens, lame cloth linens, chair covers and more.